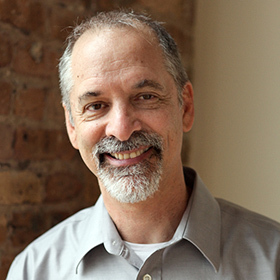 Join Gary Kraftsow in a workshop designed for students and teachers of all levels who are interested in gaining a deeper understanding of asana (Yoga posture). Practitioners will learn to use asana as a means to better understand their bodies and begin to transform their present conditions. Teachers will further their understanding of what is happening in their students’ bodies, and learn how to use adaptation in asana to move their students toward transformation. Yoga is an ancient system that includes a set of practical tools to help us heal and transform. Asana is one of those tools and can help practitioners create a conscious relationship with their bodies in order to develop, maintain, and/or rehabilitate their structures. It is often the gateway that leads to the study of other tools such as pranayama (breathing practices), meditation, chanting, and mantra. Building a strong foundation through practice creates sturdy roots to help practitioners access the deeper promises of Yoga. Yoga Alliance (Ya): approximately 15 contact hours. Asana is a tool to help you understand and transform your present condition, not a goal nor an end in itself. In Viniyoga, the function of asana takes precedence over the form, and we utilize the breath to initiate movement. Both form and breath can then be adapted to serve the goals of the practitioner. This will help to accustom the body to gain the most benefit from each posture. Explore the core principles and purposes of the five different directions of movement in asana: forward bend, backward bend, lateral bend, twist, and axial extension. Learn about “release valves” in asana and how you can use yogic tools to replace dysfunctional movement patterns with healthy ones. The goal of asana is to serve the practitioner, not the posture. Study how to adapt the forms of the asanas to serve the functional needs of your body. Learn to make the postures useful and relevant for you, which will help you to further your own transformation. Krishnamacharya once told Gary that if you are not using breath in asana, you are only doing calisthenics. Explore the importance of coordinating breath and movement in asana practice, the use of the directional flow of breath, and how breath initiates movement in asana. In Viniyoga, we say that sequencing should be effective, efficient, and elegant. Well-Sequenced asana practice is logically ordered, context-specific, manifests an intention, incorporates the tools related to the intention, and provides maximum functional benefits with minimal risks.